At least these 57 varieties are at different times on Sunday so they don't get all blended together into an unholy casserole. 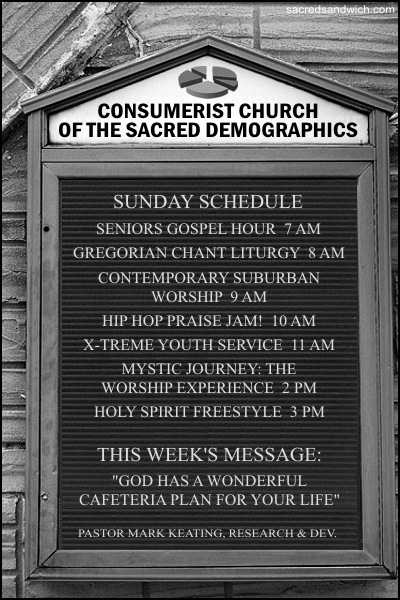 Which service would you attend? Maybe your preference isn't one of the choices. There are still several hours during "the Lord's Day" when other styles could be added. 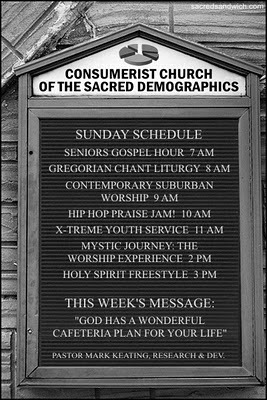 Maybe you'd like to attend "The Hymns of the 1700's" at 4 P.M.
this is soooo true.... do we really go to church to worship the living God???? ?